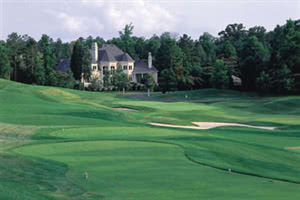 TPC at Piper Glen is situated within the historic city of Charlotte, North Carolina. Designed by Arnold Palmer and opened in 1987 the course offers a unique combination of beauty, challenge and playability. Parkland in nature the 6,853 yard, Par 72 course has meandering tree lined fairways which require good club selection and reward the shot maker. The use of multiple tee locations mans the course offers an enjoyable round to golfers of all ability whilst easily challenging the best from the back tees. Visitors are restricted, contact club for details.